12 Nov 2018 --- The sports nutrition market is continually undergoing growth, necessitating flavor innovation for both product differentiation and base-protein taste masking. In an era of bountiful choice, it has never been more critical, yet challenging, to stand out on the shelf, and one way to catch a consumers eye is through novel flavor use. “Flavours of the future” in the sports nutrition market span global cuisines to tantalize future consumer taste buds with yuzu and mochi flavors, as well as US-style s’mores, cookie dough and birthday cake, according to a research project conducted by Synergy Flavours. A 2017 Innova Market Insights consumer survey notes that novelty and variety are driving positive purchase behavior for 1 in 10 European (Germany, UK, France, Italy and Spain), as well as US and Canada consumers. In this way, unusual flavors could be a key unique selling point for products in the busy sports nutrition category. The market researcher's data show that milk chocolate was the leading category flavor in 2017, with 32 percent of launches featuring the indulgent taste, followed by vanilla at 19 percent. However, the fasting growing flavors are still indulgent, yet slightly more novel, with ice cream and brownie being the fasting growing flavors in sport nutrition launches. The busy sports nutrition category continues to grow and showed an increase of 18 percent in 2017, compared to 2016. The leading subcategory for product launches tracked globally in 2017 was sports powders, at 51 percent, Innova Market Insights data show. For its report, Synergy Flavours gathered insights and trend data from the Latin American and US markets, among influential food bloggers, food writers and futurologists. The company notes that the findings can provide inspiration for formulators in global sports nutrition markets, where discerning consumers actively seek new, exciting flavors and flavor combinations. nutrition flavor in Latin America. “It was fascinating undertaking the research as it uncovered a lot of new, innovative ‘off the wall’ flavors. Many stand out but in particular, Taro, from our deep dive into trends in Latin America. Taro is a root vegetable that has a naturally sweet and nutty flavor. The vegetable is normally white in color but can also be grown in a vibrant pink or purple color,” a Hugh Evans, Marketing Manager for UK and Europe, Synergy Flavours, tells NutritionInsight. The team expects to see the innovative range of flavors pop up in the powder category, while also holding potential for the beverages and bars markets, Evans adds. In the report, each flavor identified was ranked out of four categories to determine its lifecycle, from emerging flavors through to established or mainstream flavors with growth potential. NutritionInsight takes a look at some of the key flavors from a range of regions picked out by the study. Valued at around US$9 billion in 2018, the US has the largest, most advanced nutrition market on the globe, the report says. Consequently, many parts of the world may look to North America for inspiration, particularly for flavor trends. In the emerging flavor category, yuzu was highlighted as holding huge US potential. The citrus fruit, which grows wild in central China and Tibet, is prevalent in a variety of cuisines and is now migrating to other product categories, such as sparkling beverages. It combines well with mint, apple and lemon flavors – ideal for sports nutrition applications. Mochi also featured in the emerging category. 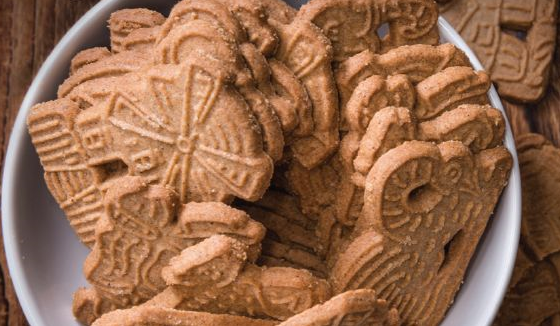 Dutch influence: Speculoos is an emerging flavor in the US. Synergy Flavours places the classic US flavor pecans as a mainstream taste. Growing flavors are tart cherry, turmeric, speculoos and matcha. Established flavors are s’mores, birthday cake and cookie dough – meaning these are established within their region yet have potential for global appeal. Although less developed than the US market, the growing middle class across many South American countries has created some of the fastest growing sports nutrition markets – particularly in countries like Brazil, Mexico, Peru and Argentina, the company says. Combined with an increasing global interest in Latin American cuisine, and the spotlight of recent sporting events shining on Brazil, many sports nutrition manufacturers are looking for the next big flavors from these regions. Milk chocolate continues to be a favorite, with one in four proteins bars being milk chocolate flavored. A growing trend in this region is Pitaya, otherwise known as dragon fruit, which has a subtle yet sweet flavor that is said to pair well with stronger flavors. An established trend in this region, which has potential for global appeal is tres leches – a cake soaked in a mixture of three different milk products and topped with vanilla whipped cream. Alfajores and papaya cream also featured in this category. 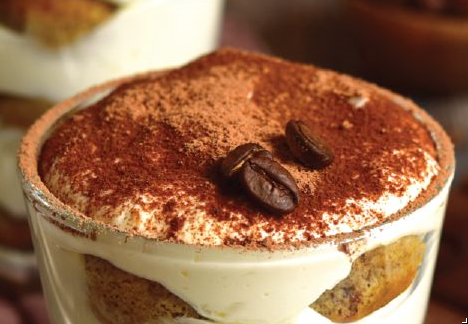 A key emerging trend is taro, while tiramisu and acai are mainstream. How are sports nutrition flavor demands different to other markets? The busy sports nutrition market, where NPD is predominantly located within sports powders, bars and supplements, according to Innova Market Insights, may be set for a flavor revolution. According to the market researchers statistics, traditional flavors have been overtaken by indulgent flavors in the sports bar category, with cookie dough, brownie and cookies & cream flavors seeing huge uptake, respectively. 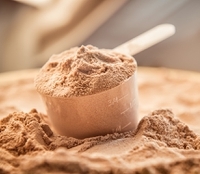 Flavors for sports nutrition markets are slightly set apart from other food and beverage categories due to the need for flavor masking for popular base products such as whey protein. Such base products are not the desired flavor for consumers, Evans notes. Sports bars are also seeing a move toward indulgent flavors. Exciting flavors may be particularly well received within the plant-based protein market. DuPont Nutrition & Health shared this sentiment at this year’s IFT Food Expo. “Don’t be afraid to step out of the box concerning flavors,” Kimberly Hogan, Group Manager, NAFTA Sensory Science, told NutritionInsight at the time. This was echoed by Florencia Moreno Torres, Analyst at Innova Market Insights, who noted how consumers simply will not settle in the sports nutrition market. “There’s still room for growth in three areas in sports nutrition,” she told NutritionInsight at Vitafoods Europe earlier this year.